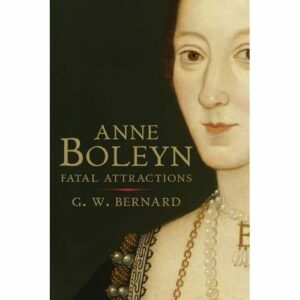 There has been lots of controversy over this new Anne Boleyn biography because, unlike other modern historians like Eric Ives, G W Bernard is of the opinion that Anne Boleyn may have been guilty. This theory has had Anne Boleyn fans around the world up in arms but I decided to read Bernard’s book with an open mind and refrain from judging a book by its cover, or rather all of the newspaper articles about it. I was pleasantly surprised and my blood actually did not boil once. My history teacher used to say that you can argue any point of view in an essay as long as you back it up with evidence and Bernard has made a good use of primary sources in backing up his views. There are sixteen illustrations in the book, including a photo of Anne’s letter to her father c1513, portraits of Anne Boleyn, Holbein’s “Apollo and the Muses on Parnassus”, one of Anne Boleyn’s Book of Hours and the portrait medal of Anne Boleyn.